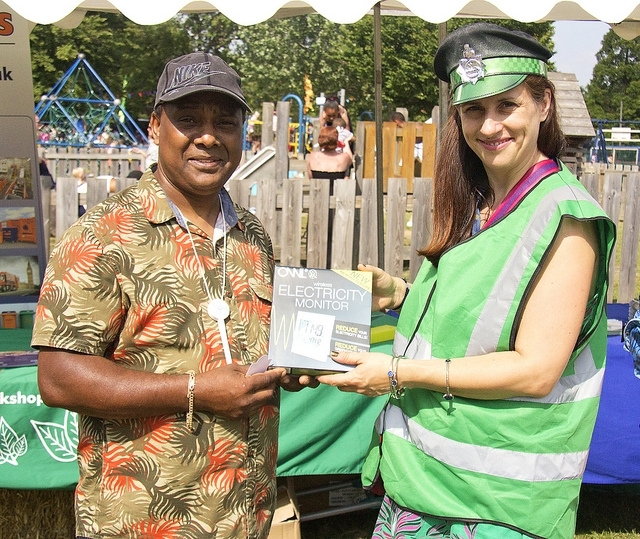 This week is National Recycle Week 2013 and the recycling team at Lewisham Council have been out and about in the borough promoting recycling and composting to residents. Dave Brinson talks to one of the many shoppers that came to visit us throughout the day. On Wednesday 19th the team went to the shopping centre in Lewisham where we had a small stand and throughout the day spoke to many residents and shoppers giving advice and information on all manner of environmental issues. 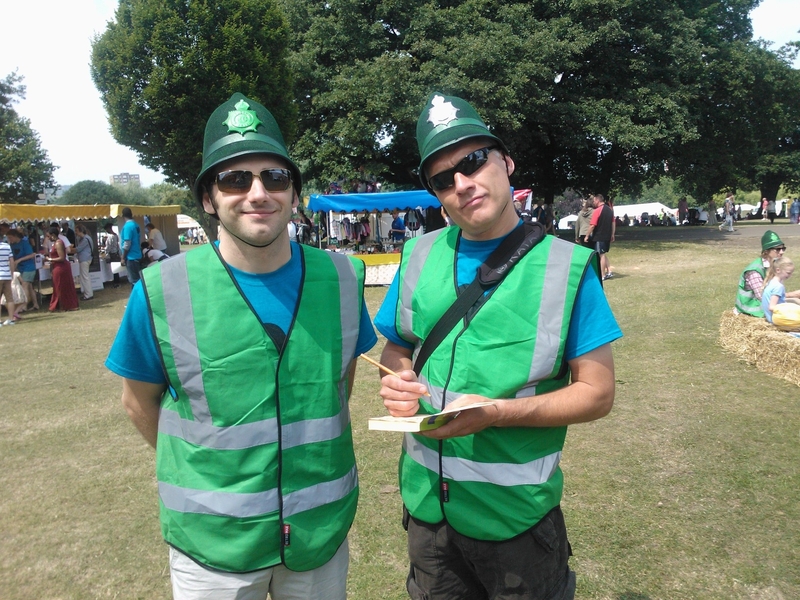 Many people just wanted advice and reassurance about what to recycle. Others were asking about the new Service Standards that we are currently introdcing. We also took requests for compost bins, recycling bins and gave out bin stickers, leaflets and spaghetti measures and freezing clips to encourage more people to Love Food Hate Waste. Visit us at our newly refurbished trailer on Friday 21st June. 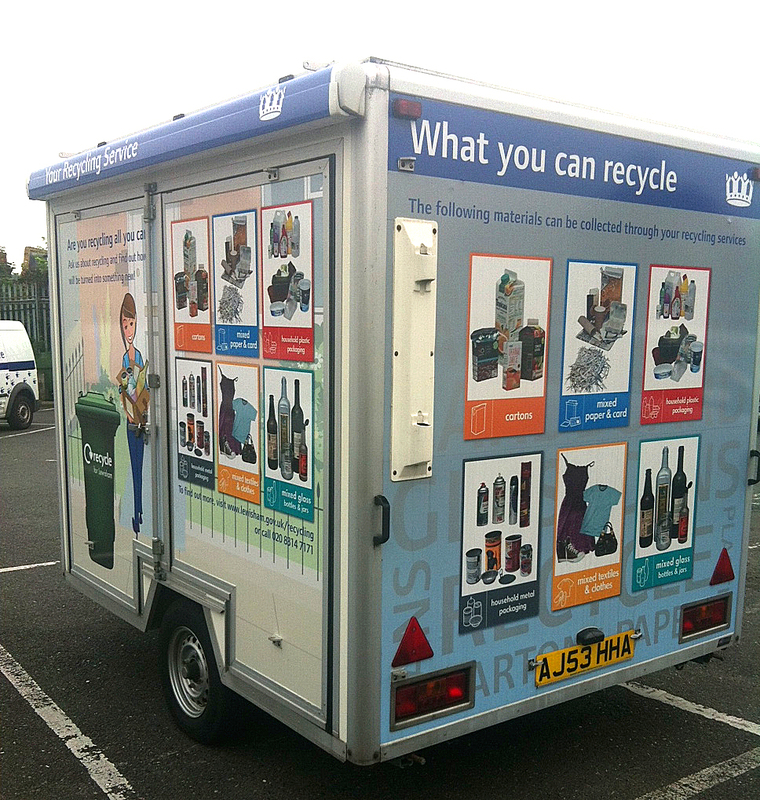 On Friday 21st, the team are heading to Sainsbury’s in New Cross Gate where we are taking our newly refurbished trailer and will again be talking to shoppers and residents and giving information as well as a few freebies to those that come and visit us. 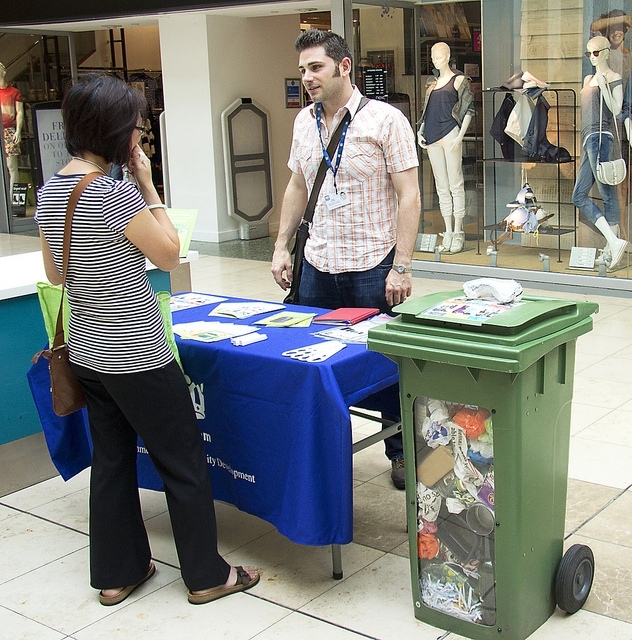 Categories: community engagement, composting, Environmental Campaigns | Tags: Lewisham Shopping Centre, love food hate waste, National Recycle Week, Recycle week 2013, Recycling trailer, sainbury's New Cross Gate, Sainsbury's, Service Standards | Permalink. Help is at hand for anyone who wants to keep track of their budgets by food planning, shopping, making the most of left-overs and recipes while ‘on the go’, thanks to a newly-updated app from Love Food Hate Waste (LFHW). Launched today (Wednesday, April 24th) and available for both iPhone and Android devices, the app enables users to organise a wide range of information and features, and tailor this to their own, individual requirements. 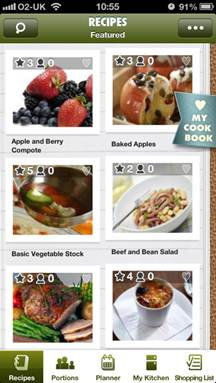 The updated app also offers a ‘My profile’ area where users can record what they’ve cooked, culinary ‘achievements’, and, the chance to opt for connecting via Facebook or Twitter with friends and family who also use the app. “This all-new app, which is free to download and use, builds on the knowledge and expertise LFHW has gained over the years,” said LFHW’s Emma Marsh. “In the UK, we throw away 7.2 million tonnes of food every year, much of which could have been eaten. This good food and drink costs us around £12bn a year, and the average household could save up to £50 a month by making the most of the food they buy. Smartphone users can download the app from Apple’s App Store or Google’s Play Store. Categories: community engagement, Food waste, Uncategorized | Tags: Android app, ‘use by’ reminders, food app, food planning, iPhone app, left-overs and recipes, LFHW, love food hate waste, Love Food Hate Waste app, meal planner diary, Portion planner, saving money, saving money on food, shopping list, tips and ideas from LFHW | Permalink. Throughout the last five or so wintery months we’ve been cooking up storms to raise awareness of just how much food is wasted in the UK and what we can all do to help reduce it. If you can visualise the Wembley Stadium and just how big it is, then you might start to visualise how big an issue food waste really is. Every year, UK residents throw away enough food to fill the Wembley Stadium about seven times. Seven times. That’s a lot. 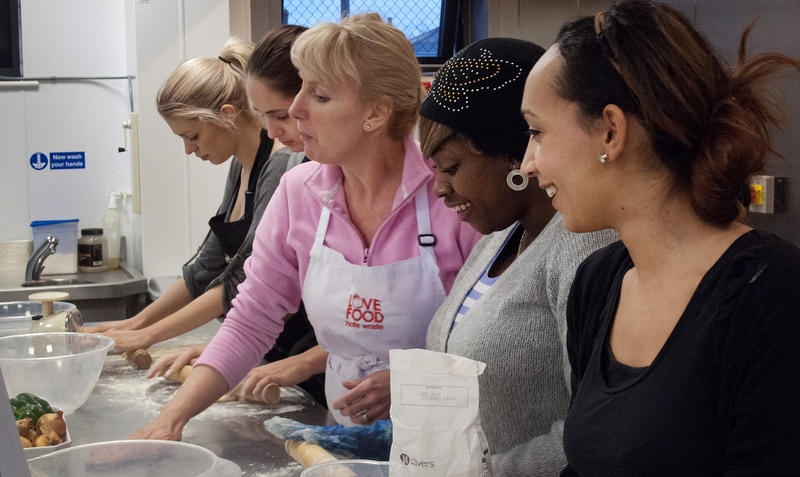 Student’s at Goldsmith’s University learn new cooking skills. 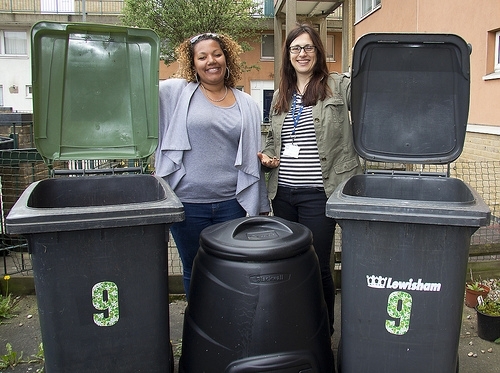 When we received funding from Recycle for London, Lewisham Council set out to reach as many of its residents in a practical and fun way, teaching them simple every day steps in how to reduce food waste. All in all we attended the Fresher’s Fayre event at GoldsmithsUniversity where we also held 9 of the 14 cooking classes that we put on. These cooking classes helped students gain more confidence with cooking, especially when using up left-over food and helped them understand how to store food so that it’d last many days longer. Other classes were held throughout the community too. A hive of activity as the students get stuck into some serious cooking. We also held 3 public cooking demonstrations at Deptford and Brockley markets and at the Tesco Superstore in Lewisham where people passing by were able to taste some yummy dishes and get some great food saving tips. On top of all this we also attended several primary schools to present the idea of loving food and hating waste within their classes. 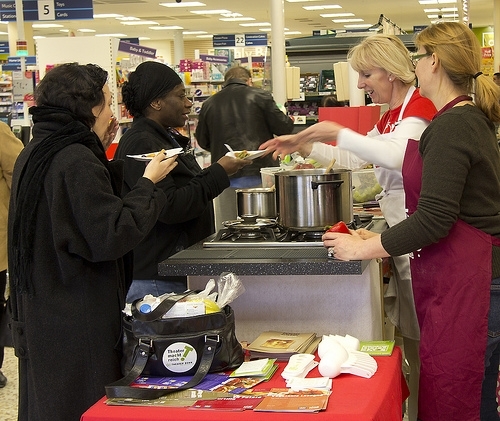 Tesco customers get a sample of free food and learn some LFHW cooking tips as well. If you were one of the 700 people involved in either our classes, workshops, demonstrations and information stalls, THANK YOU for joining us and we hope we’ll see you next time as we had a great time doing running the campaign too! 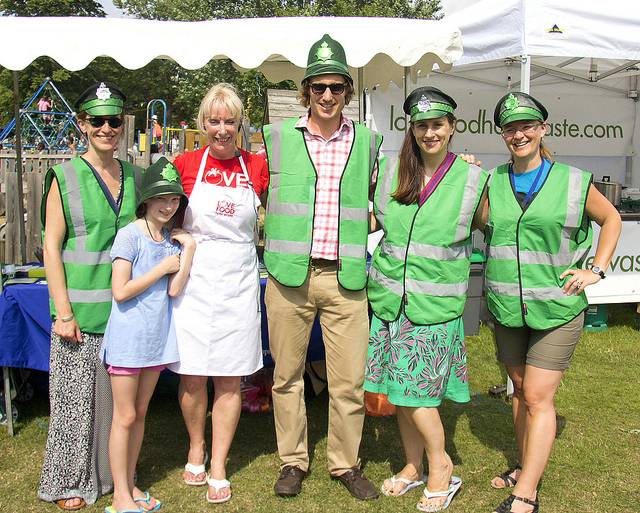 Categories: Environmental Campaigns, Food waste | Tags: Cooking demo, Cooking demonstration, Cooking with leftovers, Free cooking classes, Freshers, Freshers Fayre, Freshers Fayre at Goldsmiths University, goldsmiths, Goldsmiths University, Lewisham Tesco, love food hate waste, love food hate waste at Tesco, Love Food Hate Waste Roadshow, love food hate waste workshops, Students Love food and hate waste, Tesco, Tesco Lewishan | Permalink. Storing our food in its packaging can help keep it fresher for up to two weeks longer* and save the average family upto £270** a year. 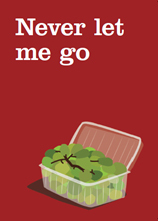 But new research released today, from Love Food Hate Waste shows that only 13% of us realise that packaging can play an important role in protecting food in our homes. Not surprisingly the research found that after price, freshness and how long food lasts for are the most important factors for us when we go shopping. We all want to make sure our food is at its best for longer so that we don’t have to throw it, and our money, in the bin. In fact there’s a great opportunity for us all to save money every week. Even though the majority of us, 61% in fact, are mistakenly thinking fruit and vegetables will sweat and go off quicker if they’re left in the pack. The evidence shows that if we keep our food in its packaging and store it according to the label when we get it home, we would have more time to eat it, reducing the 4.4 million tonnes of good food and drink wasted each year. To help us waste less and save more, Love Food Hate Waste has launched ‘Fresher for Longer’ the perfect way to help us not waste food. 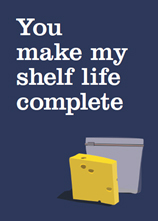 With images of pears asking to hold onto their pack ‘till lunch do us part’ and cheese pledging ‘you make my shelf life complete’ the theme shows how packaging can not only protect our food from damage on its way to the shops, but keep it fresher for longer in our homes. Packaging can also help food last much longer. Fresher for longer’ is being officially launched today in conjunction with Marks & Spencer as part of its Plan A commitment to help customers live more sustainably. Over the years M&S has introduced a number of packaging innovations to help us waste less, such as vacuum ‘skin’ packs on fish and meats and the ‘It’s Fresh’ tab in strawberry punnets, to maintain the quality and freshness of its food for days longer. 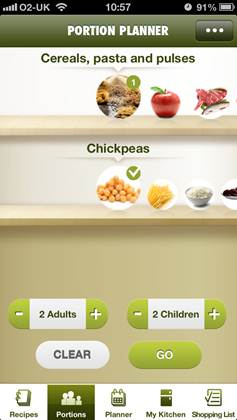 Today M&S has also launched a new online interactive ‘Fresher for Longer’ tool, on its Plan A website for customers to find the best way to store their food. To save money, the best solution is to buy food we want to store for longer than a day or two, with the appropriate packaging; for example even fruit and vegetables bought loose can last longer if stored properly in a bag that is lightly tied in the fridge. Packaging innovation means many manufactures and supermarkets now use breathable fruit and veg bags, have more re-closable packs and many more clever features, all designed to make food last longer and save us as consumers money. This new research, Consumer Attitudes to Food Waste and Food Packaging, delivered in partnership with INCPEN, The Packaging Federation, The Food and Drink Federation, Kent Waste Partnership and The British Retail Consortium, has been published today by WRAP. Industry partners said: “Food waste is a global issue. We all have a role to play in reducing it; manufacturers, retailers and consumers, and there are many ways of doing it. Keeping food in its specifically designed packaging, and following the dates and storage guidance that appears on the pack is a great start. We have made significant progress in this area, but there is still more that we can do to help reduce food waste, reduce the environmental impact and ultimately save consumers money”. *Helping consumers reduce fruit and vegetable waste September 2008 By keeping fruit and vegetables in their original packaging in the fridge they will keep up to two weeks longer. ** £270 per family (the value of good food and drink that’s thrown away because it’s “not used in time”). 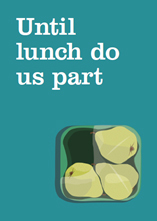 Categories: Environmental Campaigns, Food waste | Tags: Consumer Attitudes to Food Waste and Food Packaging, food waste, Fresher for Longer, INCPEN, love food hate waste, lovefoodhatewaste.com, Marks and Spencer, Never let me go, Save money, storing food, Until lunch do us part, You make my shelf life complete | Permalink. Though the wintry wind and rain continues, our spirits aren’t dampened because we’ve been cooking up a storm! 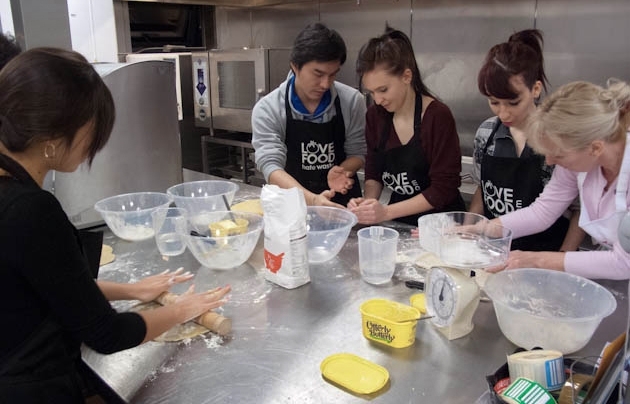 Lewisham Council is currently hosting free cooking classes that have a Love Food Hate Waste theme, teaching people how to be imaginative with food that needs using up and reducing food waste. We’re hosting 8 classes for Goldsmiths University especially tailored for students who are eating up these classes like hot cakes! We’ve also arranged classes in several primary schools and have one open to the public – see below! Do you want to feel more confident with cooking, use up left overs without the need for a recipe, make cooking easier, reduce the amount of food you throw away and save on your food bills and time? 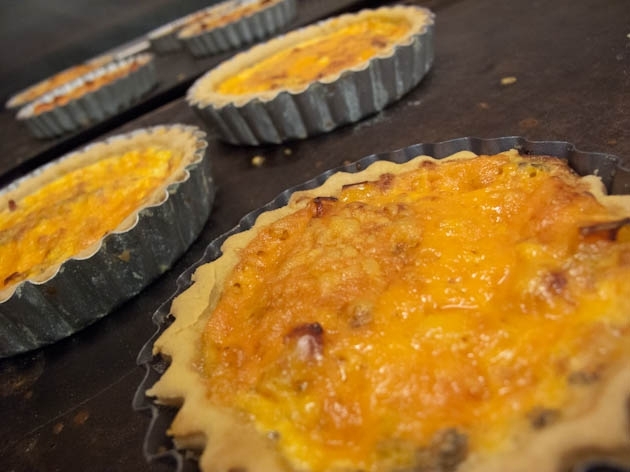 Students learn how to make pastry which can be made into a quiche or a pie. Lewisham Council are hosting a professional cook to hold a FREE cooking workshop for Lewisham Residents at the Downham Library. The class is a once off 2 hour session. These are some of the things that you can learn to make at the cooking classes. Monica is a fabulous professional cook/trainer who has very successfully held classes in many venues all over the UK and enthusiastically teaches how easy it is to reduce food waste, make simple meals from left-overs, how to store foods you’ve made too much of and how to keep fruit and veg last up to 10 days longer than what most people have been able to manage, ultimately saving money, time and food waste. Booking is essential. To book, click on the link below! Hurry, limited space available. Sorry, only residents of the London Borough of Lewisham may apply. Categories: community engagement, Environmental Campaigns, Food waste, Uncategorized | Tags: Free cooking classes, free cooking classes in Downham, Free cooking lessons in Downham Library, Learn to make pastry, LFWH, love food hate waste, Love food hate waste in Downham | Permalink.